Charles Hunter's team is on a mission to extract an unidentified ATF agent from an undercover job gone wrong. All they've got to go on is the rendezvous location - until Charles recognizes the ex he hasn't seen in years. Their "simple rescue mission" is about to get a lot more complicated. As the stalker's obsession escalates and bodies start dropping, Charles and Ángel are thrown together in a desperate search for the culprit. Tempers flare and old passions reignite, drawing them back into the same turbulent relationship that once ended in disaster. But the stalker isn't letting go - and the next strike might hit straight through the heart. Perspective...a particular attitude toward or way of regarding something; a point of view. Charles and Angel are having a relationship and suddenly it ends and Angel immediately takes an extremely dangerous undercover assignment lasting nearly 2 years...did Angel go undercover because the relationship ended or did he end the relationship because he as going undercover? Charles knows what it looks like from his perspective. But then so does Angel...who's right? It's two years later when Charles and his team are sent in to extract an undercover agent...he comes face to face with a past that he hasn't fully dealt with and discovers that the agent they were sent to extract is none other than Angel Medina. 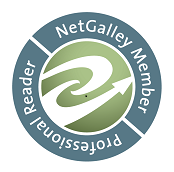 Their's was to say the least a tumultuous relationship and mistakes were made on both sides ending leaving both men angry and frustrated with each other. Question is will either of them get the answers they want and need...it's been two long years and Angel's definitely not the same man he use to be...chances are neither is Charles. "Can't Hide From Me" is by no means a romance novel there is definitely a strong relationship thread in the storyline, but there's also a whole lot of other stuff happening as well. "Can't Hide From Me" is a fast paced story with some interesting dynamics going on and you see the thing about perspectives is they're based on the individual and their experiences, the knowledge they have and how they apply it. So it's kind of a case of potato and po-tah-to here because who Charlie is and what he knows and how he uses that knowledge isn't the same as it will be for Angel or anyone else on their team and truth be told in this one it's going to take a little bit of what everyone is and knows to solve things but at the end of it all it's going to come down to Charlie and Angel sharing who they are and what they know if they want more than a past together. There's a lot to this one and in all honesty I think if I could change anything it's probably that I would have read this one with a friend so that I could have shared all these rampant thoughts that I have rumbling around in my brain about this book. "Can't Hide From Me" is a complex book and if you leave your mind open to it you'll realize that for ever aspect of this story there's more than just one perspective to view it from...I know I did and while I've said it before I'll say it again, I like a book that makes me think, makes me step outside the box and examine my values and what I think and believe is right for me. 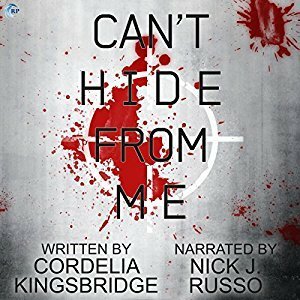 An audio book of "Can't Hide From Me" was graciously provided by the publisher in exchange for an honest review.